A third year student succumbed to injuries following a stampede at the University of Nairobi’s Kikuyu Campus Sunday morning after a power transformer exploded. According the university’s Vice Chancellor Prof Peter Mibithi, 141 others were admitted to hospitals, 99 of them at the Kenyatta National Hospital (KNH) one at Karen Hospital and 37 at Kikuyu Hospital. The students jumped from their hostels to the ground floors after the 4 am incident in which they mistook the explosion from the transformer for a terrorist attack. Some students jumped from the sixth floor of their hostels. 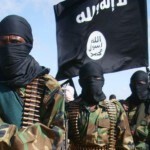 “The explosion from the transformer went off and there was a succession of the same for about 20 seconds that made many of the students think it was Al-Shabaab who had attacked,” said a student who said he survived with a scratch in the face. Police who visited the students said the students scampered for safety after the 4 am incident. Some of the students were having a party at that time. At KNH, parents and friends of the students thronged there to visit their loved ones. Officials said the students had broken limbs and cuts. Some of the students said avoided using the main entrance in getting out and opted to jump out through the windows because they believed the “attackers” were there. Emergency services were mobilized to ferry the students to the hospitals. 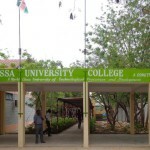 It came a week after terrorists raided Garissa University and killed 148 people in a siege.